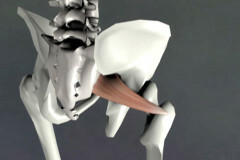 This class includes both our Orthopedic Massage DVDs, together over 5 hours of video footage in 44 lessons. Learn assessment, trigger points and referral patterns, static and friction massage, stretching and client self-care on over 50 muscles. Learn from John’s 30 years of experience as a bodywork instructor as he clearly shows each step in the treatment process with this hands-on approach. This lesson introduces the basis of Orthopedic massage. 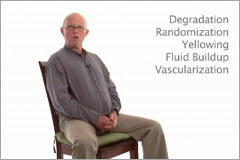 John discusses his experience, and the techniques used in this class, including deep transverse friction, ischemic compression, CRAC stretching. He then discusses contraindications to the work. This lesson demonstrates orthopedic massage work on the quadratus lumborum, gluteus medius, gluteus minimus, and serratus posterior inferior. This lesson demonstrates how to work on the psoas, iliacus, and ilio-psoas attachment. This lesson demonstrates how to work on the rectus abdominis, the iliolumbar ligament and the paraspinals. This lesson shows a functional assessment of the hamstring muscles. Then John demonstrates how to work the muscle belly, and the tendinous attachment at the ischial tuberosity (in side posture). This lesson shows how to evaluate for riders strain which involves the adductor longus and occasionally the gracilis. 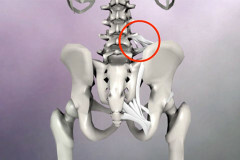 The strain happens at the musculo-tendonous junction. John demonstrates how to use cross fiber friction to offer relief. This lesson demonstrates how to assess the rectus femoris for strength, and how to apply orthopedic massage techniques to the muscle. 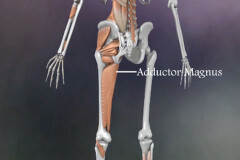 This lesson shows how to perform a functional assessment to the adductor magnus. John speaks about how this muscle can mimic a hamstring tear, and demonstrates how to apply orthopedic massage techniques to the area. This lesson demonstrates the anatomy of the iliotibial band, common issues, and how to work on the iliotibial band and tensor fascia latae. This will help trigger point referral patterns, and includes cross fiber friction on the lower part of the band, as well as deep muscular work on the muscle. Finally he shows stretches for the band and muscle. Working on some of the larger leg muscles can be difficult with your hands, but incredibly easy if you use your foot. This lesson shows how to perform deep compression to the leg muscles using your feet. This includes working the hamstrings, lateral hip, adductor magnus and achilles tendon. This lesson shows how to work the achilles’ tendon using cross fiber friction. John also shows how to work the gastrocnemius and soleus. Finally he shows how to teach a client to cross fiber friction on themselves as self-care. This lesson demonstrates how to work on the anterior talo-fibular ligament using lymphatic drainage and cross fiber friction. Then John shows client self-care and strengthening exercises. The peroneus longus and brevis muscles can also be affected by a lateral ankle sprain, and in this lesson John demonstrates how to work these muscles and cross fiber fiber friction the tendons. 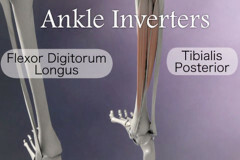 Continuing working on ankle sprain injuries, this lesson demonstrates work on the tibialis posterior, flexor digitorum and flexor hallucis tendons. John then shows self care work that the client can perform at home. 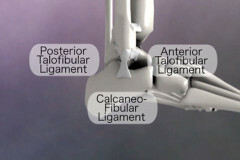 Tennis leg is a small tear in the medial distal head of the gastrocnemius. He then discusses non-weight bearing, non-resistive movement to help the healing process, and final includes self care exercises that the client can perform themselves. This lesson shows how to work the tibialis anterior, including work for trigger points and self care for the client to release the muscles themselves. 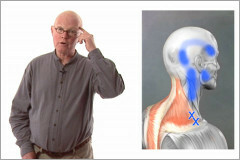 He also discusses finding a ‘jump sign’ to discover the location of a trigger point. This lesson discusses common trigger points in the upper trapezius, and how to apply orthopedic massage techniques to relieve the trigger point referral patterns.